Hardscapes are becoming more and more popular in the Columbus market as the design ideas become more and more customized to each owner’s individual tastes and the footprint of their yard. Gone are the days with rickety pavers that settle, chip and stick out. 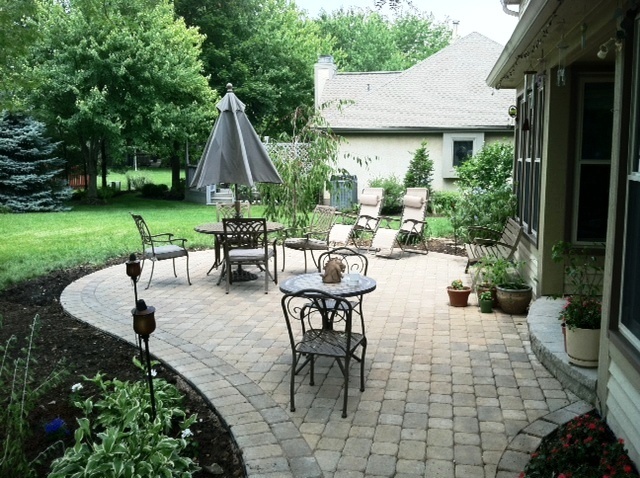 Professional hardscapes are custom designed and built with the eye and hand of an experienced artisan. As you look at the picture to the right, you quickly get the sense that the level of design and craftsmanship is nothing like it was years ago. What can your hardscape include? What are the custom options? The individual elements within your hardscape have unlimited possibilities. These can include seating walls, pillars, fire pits, outdoor fire places, retaining walls, planters, custom stairs and numerous other functional and design elements. Cobblestone driveways and sidewalks don’t have to be just from days of old. You can bring that old world charm and custom craftsmanship to your home. While the paver colors, choices, styles, patterns, and textures come in an impressive array; hardscape materials include a lot more than just pavers. We build with flagstone, concrete, stack stone, and many other materials. Do I have to wait until Spring to start building my hardscape? This winter was very moderate so the ground didn’t freeze making it perfect time to start planning your new hardscape. The time to start planning is right now. As we wrote in a previous post, reputable builders and masons will have a project queue that may be several or many weeks out in the Spring. If they say they can start next week, be wary – even this time of year. It’s the end of February and we already are scheduling start dates for weeks out. It will only get more busy as we move into Spring. Many of our customers are building a double living area outdoor environment. This may include a patio and a deck, a patio and a porch, or even a multi-level patio. It’s very popular to build multiple living areas. 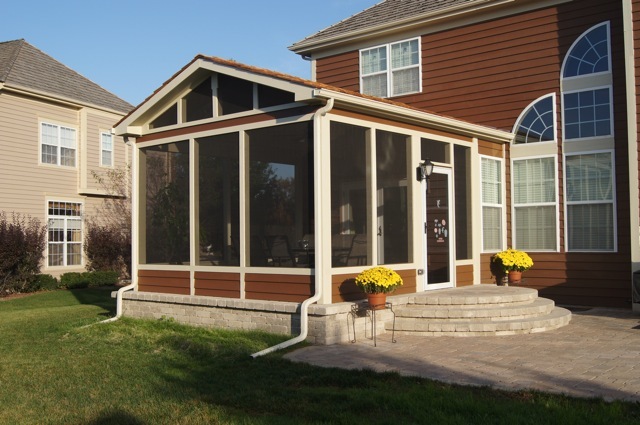 Likely your family plans on s pending a great deal of time on your new outdoor living area. You also likely plan on doing a bit of entertaining outside as well. Often one area will be for eating and another may be for seating. The eating area may include an outdoor kitchen, a fire pit for roasting marshmallows and may have an area specifically designated to accommodate your grill or outdoor smoker. This area would include your table. The other area within the environment will likely be designed for seating and relaxing. Enjoy the slide show below for many more photos for hardscape design ideas. Previous Previous post: New TimberTech colors – you heard it here first!